Lucknow: Allahabad name changed by Prayagraj, Yogi Sarkar, after taking a big step before the Kumbha going to be held in 2019, has decided to change the year old name of Allahabad to Prayagraj. Earlier, Allahabad's name was Prayag. 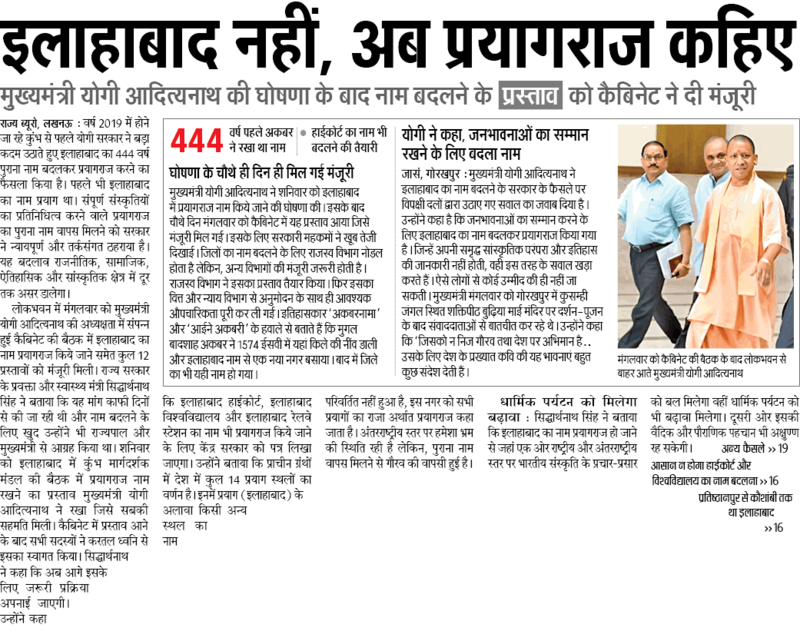 The government has been justified and rational to get back the old name of Prayagraj, representing the entire cultures. This change will be far-reaching in the political, social, historical and cultural sphere.